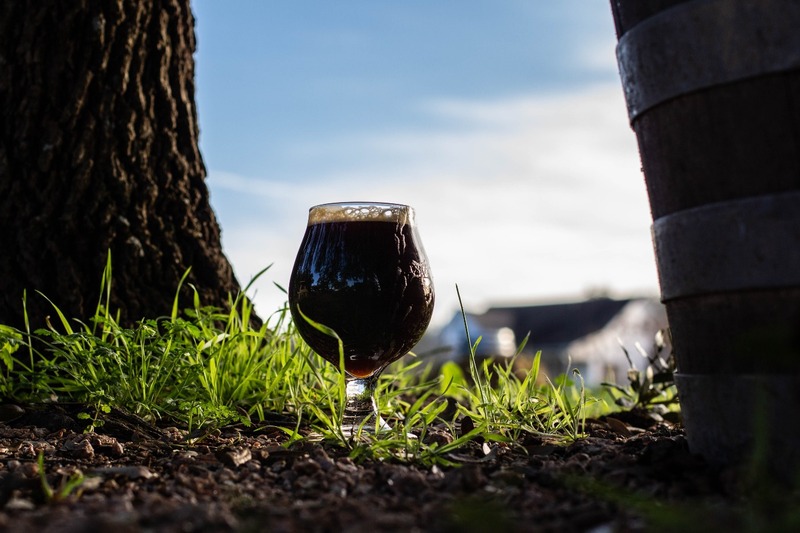 We're very pleased to introduce a new beer called Twilight Oblivion, brewed in collaboration with our friends at Red Horn Coffee House & Brewing Co. in Cedar Park, Texas! 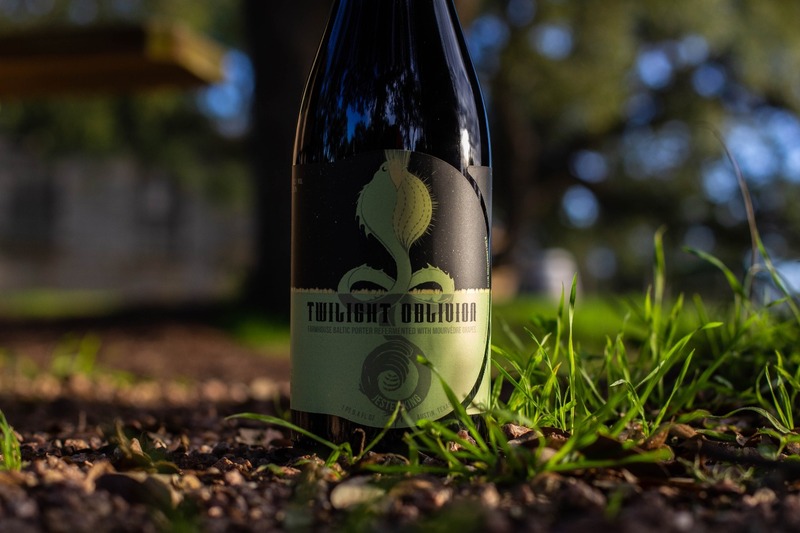 Twilight Oblivion is a Farmhouse Baltic Porter refermented with Mourvèdre grapes from Wildseed Farms in Fredericksburg, Texas. To make Twilight Oblivion, we brewed Baltic Porter wort at Red Horn, then drove the wort to Jester King for fermentation in one of our horizontal tanks with Red Horn's lager yeast. We then harvested Mourvèdre grapes from Wildseed Farms with our friends from Wedding Oak Winery for refermentation with our mixed culture of brewers yeast and native yeast and bacteria. Twilight Oblivion is 9.3% alcohol by volume. It was packaged in October of last year and naturally reconditioned in bottles and kegs. It will be available by the glass and in bottles to go starting this Thursday at our restaurant and tasting room. It will also be featured at our sold out Valentine's Day pairing dinner. We have about 1,000 bottles available with a bottle limit of four per customer per day (750ml/$18). We're pleased to say that $1 off of every pour of Twilight Oblivion will be donated to Integral Care in Austin. Since 1967, Integral Care has supported the health and well-being of adults and children living with mental illness, substance use disorder and intellectual and developmental disabilities in central Texas. Finally, be on the lookout for the version of Twilight Oblivion brewed and fermented at Red Horn. We will also be pouring a keg of that version in our tasting room and restaurant this weekend!